If you're connecting Zentail to your BigCommerce store for the first time, it's helpful to have a backup of your BigCommerce data. Template — Select your export template. 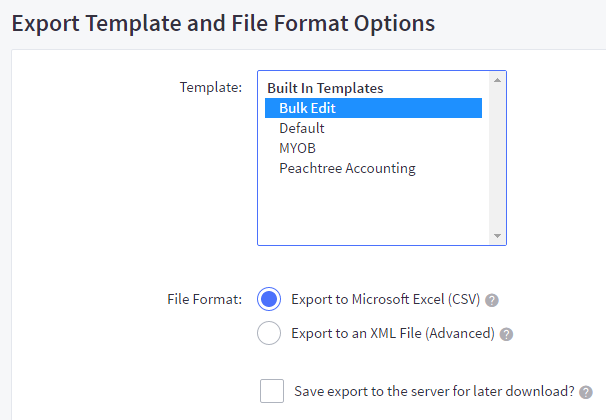 Bulk Edit is recommended if you are not using a custom export template. File Format — Zentail recommends the CSV format. 3. Click Continue, then click Export my products to a CSV file in the pop-up window.